Beauty Salon & Beauty Treatments Haslemere, Surrey. Welcome to The Luxury Gap beauty salon website. 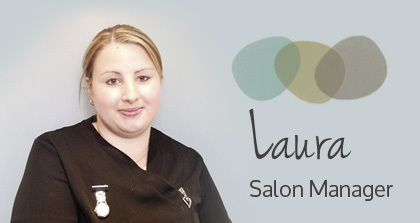 I’m Laura and I’m the salon manager. Here at The Luxury Gap we provide the best essential and luxury beauty treatments in a calm and professional environment. We cater for women, men, young and old and believe that a little luxury in life makes you feel good. The Luxury Gap was established in 1996 in the pretty old market town of Haslemere on the border of Surrey and West Sussex. With views of rolling hills around us, we are nestled between the railway station and the main high street and have free on-site parking making your visit to us as easy as possible. All our therapists are fully qualified, have a wealth of knowledge and experience and commit to on-going professional training to maintain our luxury standards. We only use the highest quality products and look forward to indulging you in the benefits they bring. Sign up to the Luxury Gap newsletter and receive a FREE £5 Gift Voucher to use at our salon. Our newsletter is full of interesting news, tips and offers and is sent directly to your inbox. The Luxury Gap is located the pretty market town of Haslemere on the border of Surrey and West Sussex. With views of rolling hills around us, we are nestled between the railway station and the main high street and have free on-site parking making your visit to us as easy as possible. We provide the best essential and luxury beauty treatments for women & men in a calm and professional environment.